Today we wrap up our study of James. Thanks for joining me as we’ve learned how Faith Meets Reality. I’ve enjoyed sharing this journey with you, and am already looking forward to the next study that brings us together! Our lives are full of challenges that test and stretch and grow our faith. Whether we’ve been walking with Christ for a month, a decade, or a lifetime, we may find ourselves struggling at times to maintain trust in God or to figure out how godly faith handles practical daily circumstances. The letter of James was written to Christians who knew that struggle, who had faced obstacles great and small, and who were learning to honor God through them all. James provides a “checklist” to help Christians judge the mettle of the faith we profess. Lip service won’t do; we need faith that works in the real world. Faith that produces “fruit.” Faith that can be seen in the way we live life. endures trials, developing patience and godly wisdom through them? James 1:2-12.
understands temptation, refusing to be fooled by satan’s schemes, or to slide into sin? Instead, it is equipped to resist the devil, acting as a shield (Eph. 6:16). James 1:13-18.
obeys the Word, both hearing and doing it? Genuine faith should change you. It should affect your decisions, your attitudes, your behavior, your relationships—in short, every part of you. James 1:19-27.
is impartial? It refuses to be influenced by favoritism or swayed by prejudice. James 2:1-13.
displays itself in visible works? It lets its light shine! James 2:14-26.
controls its tongue, not allowing harmful words to flow unrestricted? Instead, it uses words to build and strengthen. James 3:1-12.
acts wisely, with wisdom that finds its source in heaven? James 3:13-18.
chooses friendship with God over friendship with the world? James 4:1-4.
acts humbly and dependently upon God? James 4:5-10.
refuses to act as judge—taking on a role that belongs only to God—instead choosing to encourage and uplift others? James 4:11-12.
causes you to do what you know to be good? James 4:13-17.
handles wealth responsibly, using its blessings to bring God glory? James 5:1-6.
looks forward in hope to Christ’s return? James 5:7-8.
stifles complaining when under pressure, and instead prays? James 5:9-18.
motives you to actively love—and sometimes even rescue—others? James 5:19-20. Use this checklist to read through the book of James one more time, noting how James fleshes out each point. Pick your three strongest areas, praising God for building those aspects of your faith. Then raise to God your three weakest areas, seeking His power to help your faith grow. My favorite verse in James is one you’ve hopefully memorized during this study. James 1:12 says, “Blessed is the one who perseveres under trial, because when he has stood the test, he will receive the victor’s crown—the life God has promised to those who love Him.” Are you reaching for the victor’s crown, actively striving in the midst of life’s real struggles to build up your faith? The reward will be well worth the effort. Don’t give up. Live out your faith! Thanks again for sharing this study with me. We’ll begin a new study in September, with a weekly post each Wednesday. 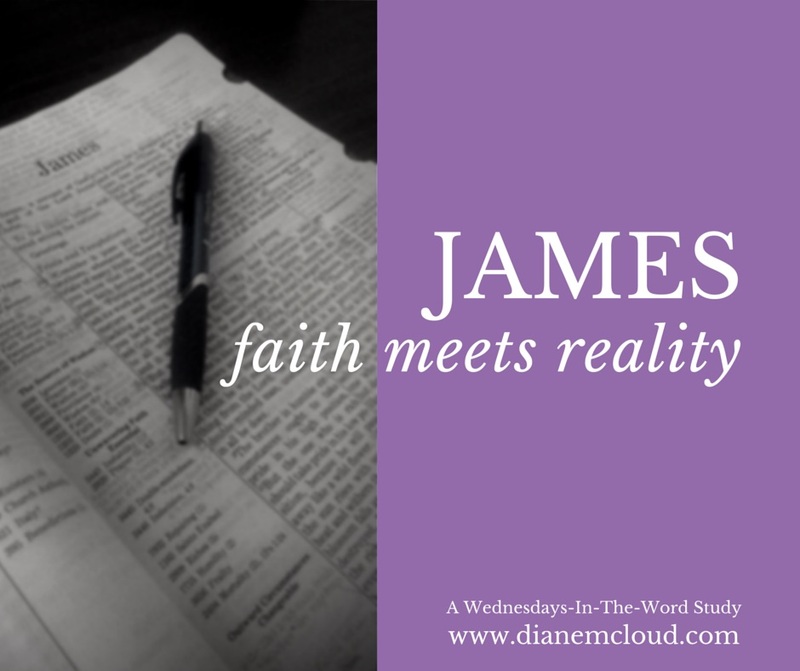 In the meantime, I’d encourage you to read back through each of the posts in James: Faith Meets Reality. If you’ve missed learning some of the memory verses or skipped looking up some of the Bible references, take the time to do it now. Solidify in your mind the ultra-practical teaching of James, trying to absorb all you can to build up your faith. See you in September! I once heard a great story about Tony Campolo (a well-known Christian teacher and activist who—for the record—has taken a recent stance on several moral issues that fails to match the biblical quality of his early ministry). He was to speak at a gathering of about 300 women. Before he was introduced, the conference leader read a letter from a mission, presenting an emergency need of $4000. The leader then asked Campolo to pray for that need before he spoke. He stunned the group by refusing. Instead, he opened his wallet and put its contents on the table—then challenged the women to do the same. Before the meeting ended, the ladies had covered that $4000 need plus much more. What if Campolo hadn’t pushed for action? Though the means to meet the request were right there in the room, the women would probably have been content to “pray” without acting, leaving the mission in a state of emergency. In today’s passage, James returns to the gap between words and deeds—between what is and what should be. Let’s take a look. Grab your Bible and read James 5:1-6. James issues a powerful two-part warning to rich oppressors. you have way more than most of the world’s population. The truth is, we American women can look at a closet stuffed with clothes and moan that we have nothing to wear. We can look at cupboards full of food and groan that we have nothing to eat. Russian comedian Yakov Smirnoff jokes of his wonder at Americans who rent storage units, paying to keep things they don’t want or use! We are greatly blessed. With great blessing comes great responsibility. Despite our excuses, most of us can do way more than we think we can—and will be further blessed by God when we do it. So let’s talk about the warning in James 5:1-6. In gaining wealth: Will you stand before God on the last day feeling indicted by or proud of your financial practices? Are you accumulating money on the backs of other people? If you’re an employer or business owner, are your workers treated fairly? paid well? Do you fatten your purse while your employees’ families struggle to make ends meet? Could you trade places with them without suffering? What can you do to better honor Him with your position and possessions? In using wealth: Are you faithfully tithing your income, giving ten percent to God? (God calls every Christian to this minimum, whether you consider yourself rich or poor or somewhere in between.) When you learn of a need—especially a need of a Christian brother or sister—do you move to help or do you offer to pray for them while hiding your bank book? Are you hoarding wealth while people you know are doing without things they need? Would you describe yourself as generous? If you showed God your spending record and your giving record, would He describe you as generous? This study series is titled Faith Meets Reality. The reality is most of us have more than we need, and are very able to share. God is pleased when we open our hearts and our pocketbooks to the needs around us. Let’s make sure that our use of wealth is honoring Him, and that what is matches what should be. Look at your last three bank statements. Lay them out before the Lord. Ask Him to show you areas where you can honor Him better. Perhaps you need to tithe. Maybe you’ve become aware of a need you could help meet. Maybe you’re an employer who could be more generous with employees. Give God a chance to speak to your heart about your wealth. Read James 5:7-12 before next week’s study. Then read, once again, the whole book of James—listening to the Spirit’s teaching voice as you read. I’ll meet you here again next Wednesday! Today’s passage in James contains ten commandments too—commandments that also sum up how to draw near to God. James’ letter contains many Greek imperatives (commands), but this passage is especially direct—ten terse tight statements about the actions and attitudes that please our holy God. Let’s take a look. Get your Bible and read James 4:7-10, then start at the beginning of chapter four and read through the whole chapter to put these four verses in their context. Do you want to be close to God? Here’s the exciting truth: these verses tell you how to get there! Last week’s study covered control of our tongues—an uncomfortable subject that steps on our toes. At some point we’ve all spoken words we regret, words that hurt someone, words that set off a sad chain reaction. One little phrase can do irreparable damage, wounding in ways no stone or stick ever could. A tongue unleashed is deadly, especially when it’s the verbal gate for a heart full of bitterness or selfish ambition. A bad state of heart produces a bad set of words (Luke 6:45). So, right on the heels of his warning about the tongue, James discusses wisdom—and the difference between living “heaven-wise” (God’s wisdom) and “world-wise” (satan’s counterfeit). I hope by now you’ve read through the entire book of James at least once (better yet, once per week!) to set each week’s study into the book’s big picture. Today, we’re going to focus on just six verses. Take a moment to read James 3:13-18, paying attention to two kinds of wisdom James describes. James says there is false wisdom and true wisdom. Let’s take a quick look at each, remembering that when James is writing this letter, he’s addressing Christians. We can—and often do—settle for pseudo-wisdom, allowing ourselves to be duped into believing that the way we’re behaving is good, justified, wise. 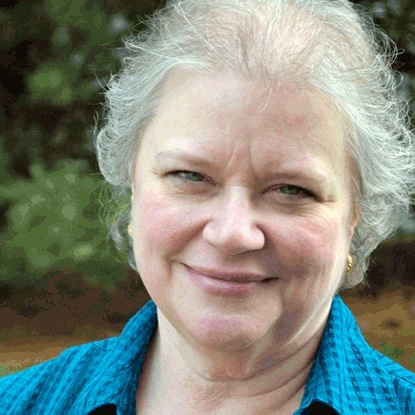 We can—and often do—infest our churches with earthly thinking, to satan’s delight. We must be careful, check our motives, open our eyes. What ten terms does the Holy Spirit—through James’ pen—use to define false wisdom? • earthly (v. 15)—bound to earth. I like what commentator Larry Richards writes about this word: “…unable to go beyond the limits of this world to gain the perspective on spiritual realities which guides the believer.” If we wonder what God thinks about a Christian whose “wisdom” doesn’t go beyond the limits of this world, who doesn’t live according to the Spirit, reading Romans 8:5-14 will quickly give us the picture. • demonic (v. 15)—tied to satan and his three-fold strategy to make us see things through earthly eyes: “the cravings of sinful man, the lust of his eyes, and his pride in possessions” (1 John 2:16, NIV). • unspiritual (v. 15)—natural; animal-like. The brute beast doesn’t think spiritually; we wouldn’t expect it to! But humans are not beasts—we are spirit-ual beings, made in the image of God. We call it tragic when men respond to life’s circumstances like animals—for example, in the senseless, destructive behavior we recently saw in Ferguson, Missouri. The rioters’ “wisdom” said, “Make ’em pay for what they did to us”—without reasoning that the random people whose property they were harming had no connection to their perceived wrong. Some of the rioters were just part of the mob—no “cause” for which they were battling, just an excuse to loot. Many news reports called their actions “animalistic”—the same idea as the word James uses here. • rooted in bitter envy (v. 14, 16)—sharp, vicious, ugly jealousy. Like a heat-seeking missile, it zeros in on any person who seems to be getting ahead. • rooted in selfish ambition (v. 14, 16)—a strong desire or lust that leads to rivalry and manipulation. The Greek word comes from a word meaning “to spin wool”—doing something that has an agenda beyond that action. Jesus must be sickened by the number of churches that have been harmed by selfish ambition, a quest for power that is totally unChristlike. • lying against the truth (v. 14)—an interesting phrase, because every lie is against truth. The liar knows the truth but doesn’t consider it valuable, so covers it over with falsehood. When the truth in question is The Truth, and the lies are coming from a Christian who has professed loyalty to Him, He suffers and His people suffer. • source of disorder (v. 16)—”standing down;” stepping aside and letting commotion run free. The Bible says God is not a God of disorder but of peace (1 Corinthians 14:33). Can you see satan lurking in the shadows smirking, when order disintegrates and anarchy reigns among God’s people? • source of every evil practice (v. 16)—worthless, foul, vile practices that belong to a low order. Nothing here worthy of our high and holy God! • not from above (v. 15). These qualities are not found in heaven’s halls. What ten terms does the Holy Spirit use to define true wisdom? • pure (v. 17)—unalloyed, uncontaminated. Wholly God’s, with only His interests in mind. • peaceable (v. 17)—Romans 12:18 urges, “if it is possible, as far as it depends on you, live at peace with everyone.” We may not be able to control what others do, but we can choose peace. We walk away from tense situations, we diffuse arguments, we forego having to be right—for the sake of our Prince of Peace. • gentle (v. 17)—power under control—or, as one writer put it, “velvet steel.” A gentle person is sweet-tempered and fair, willing to give others the benefit of the doubt. • reasonable (v. 17)—approachable, compliant, willing to discuss options and to hear other points of view. • full of mercy (v. 17)—able and willing to meet needs, even when undeserved—and to waive punishments, even when deserved. • full of good fruits (v. 17)—Fruit is “that which is produced by the inherent energy of a living organism”, with seed for more! When we are Spirit-controlled, the obvious result will be fullness of love, joy, peace, patience, kindness, goodness, faithfulness, gentleness and self-control (Galatians 5:22-23) and all that comes with those qualities. • unwavering (v. 17)—sureness, resolve, poise and confidence, even when all around us is quaking. • without hypocrisy (v. 17)—sincerity, genuineness. No pretense, no masks, no lies. • sown in peace (v. 18)—reaping what we’ve sown—peace which begets more peace! • producing the fruit of righteousness (v. 18)—More fruit! More love, more joy, more peace. More patience, kindness, goodness. More gentleness, faithfulness and self-control. Have you noticed how green and growing and giving heaven’s true wisdom is? This is unselfish, gracious, generous living that purposely looks a lot like the life of Jesus. It is possible to claim the name of Christ and not live like this—but it is not possible to claim the name of Christ, not live like this, and please God. There are two kinds of wisdom, but only one reflects Christ. because the power of Your words can repair all I’ve destroyed. The key is making sure all our words find their source in His wisdom. Which list of terms best describes you? Which kind of wisdom are you choosing to live by? • Watch for a brewing argument, a complaint, or a tense relationship where you can practice your peacemaking skills. Can you diffuse tension and help find a solution? Read Romans 12:9-21; how does it apply to the situation? • Read James, then read James 4:1-7 again to prepare for next Wednesday’s study. See you next week! * From the song “Bite My Tongue”—performed by Reliant K on their album Five Score and Seven Years Ago. Written by Matthew Theissen, © Universal Publishing Group: Music Services, Inc.